Our holistic approach focuses on the particular needs of the elderly. 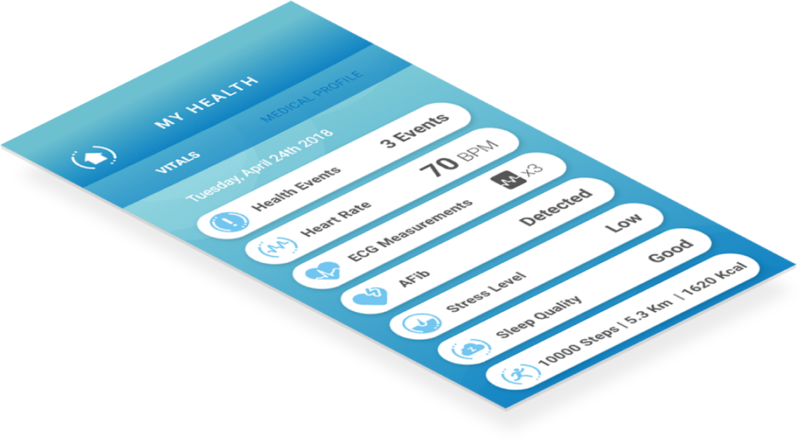 The healthloop app provides continuous tracking, analysis, and management of your health through smart algorithms. The Dashboard works like your home screen. Access personalized features and basic data. Quick access to the main features of the app. 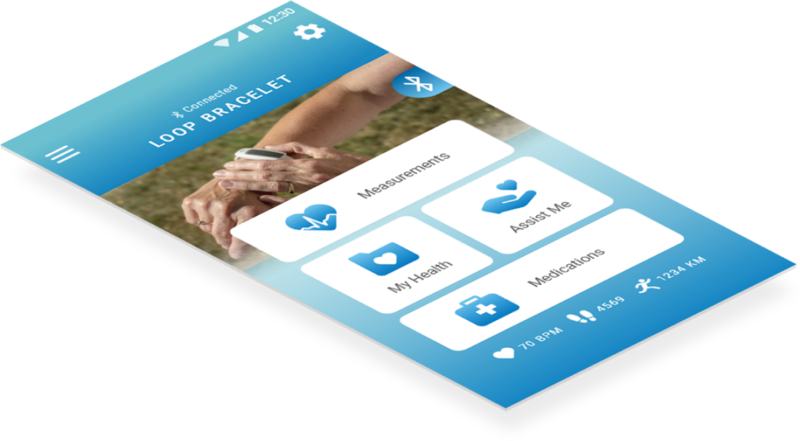 Personalize your corbit bracelet, check at one glance your activity data collected by your favorite tracker. Real-time measurements; constant feedbacks and alerts; anytime-anywhere. Follow easy to understand instructions to get a precise ECG reading. Visualize your results, store, and share them with your medical professionals. Add reminders so you don’t miss a measurement. Gain authority over your health information. 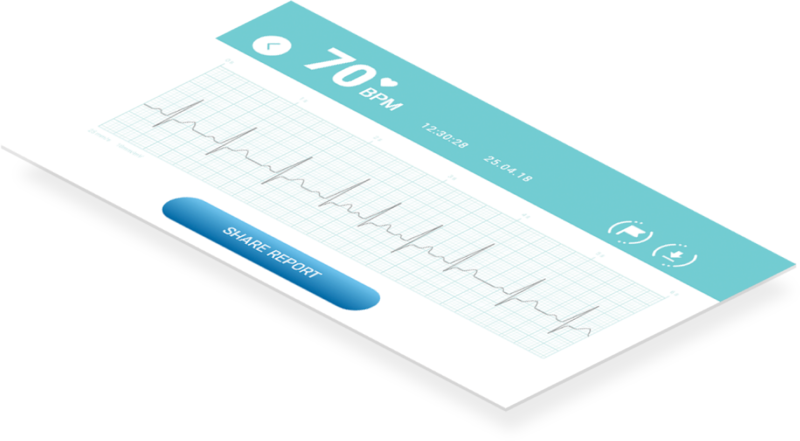 Visualize all data collected from your device: health events, heart rate readings, ECG reports, AFib detection, stress level, sleep quality and regular activity tracker data. Share reports with health professionals, family members, and caregivers. Experience support by family and community. Select your emergency contacts, invite them to use the healthloop app and get fast access when you need assistance from them. Add photos and audio recordings to give them more information. Reach emergency services (112) quickly. Have a clear overview of your Medication Plan. Use our virtual pillbox to manage your medication plan. 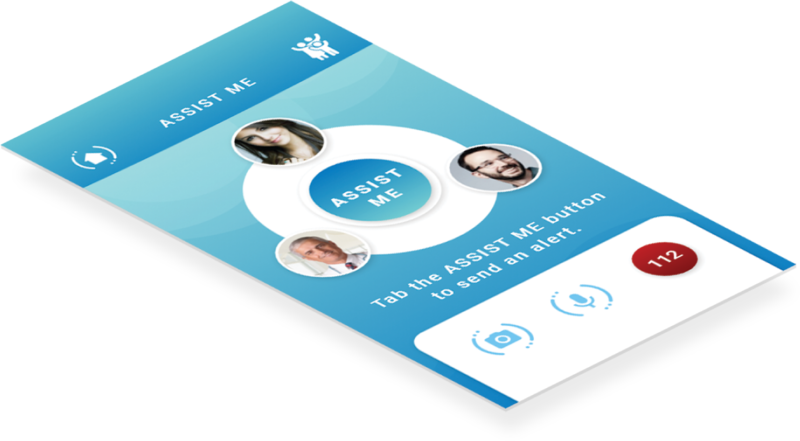 Improve your treatment adherence with personalized reminders, receive notifications on your phone and your device.